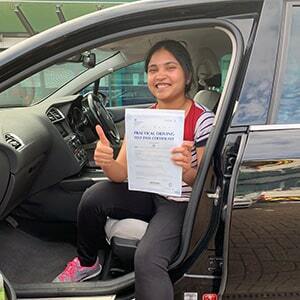 Learners in Birmingham are certainly spoilt for choice when it comes to driving test centres. If you live in or around the Yardley area, your go-to option will be South Yardley. Located on Clay Lane, next to Clay Lane Allotments and across from Gilbertstone Primary School, Shirley test centre gets its fair share of learners visiting each month. If you're one of the many learners heading here, keep on reading for directions, pass rates, test routes and much more about Shirley. Based in South Yardley, South East of Birmingham, South Yardley test centre rests close to the busy Coventry Road—making it easy for all learners in the vicinity to get there. Want to check out the test centre before your course or test? It couldn’t be any easier. Simply follow these directions and you’ll get there just fine. The key to success with the driving test is knowing your test centre and its surrounding area. 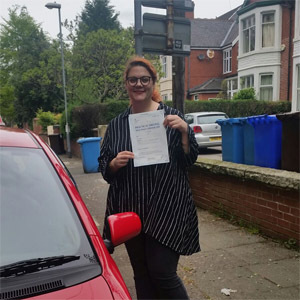 With that in mind, you can watch videos of South Yardley test routes on YouTube or download our sample South Yardley driving test routes to get an idea of which specific roads might crop up. Your instructor will also introduce you to the South Yardley roads and features that are most likely to show up on your test, so you won't be too surprised by what happens on the day. With pass rates more than 10% lower than the average for learners in the West Midlands, we can’t say we’re too impressed by South Yardley. Fortunately, you’re not graded on these stats in your test—it’s all about your ability. That being said, you might be relieved to find that pass rates are higher for those going in for their second attempt. What If I Can’t Go To South Yardley? If, for whatever reason, you can’t go to South Yardley test centre, you can head to Garretts Green or Shirley. Once you’ve pulled up and parked safely at South Yardley after your test, the examiner will let you know how you’ve done. Regardless of whether you pass or fail, you'll be given a feedback sheet detailing any minors or majors you might have accumulated during the test. If you are successful, you'll also get a test pass certificate and the chance to send off for your new licence. Believe it or not, failing the driving test is a common occurrence for many learners—whether it’s nerves or a few shaky areas. The most important thing you can do is look at your feedback sheet and work on the areas you received faults in. If you’re looking to get back behind the wheel, PassMeFast can speed up the entire booking process by fast-tracking your test. Simply call us on 0333 123 4949, or contact us online to get things started right away. Looking for a driving school that does things differently? PassMeFast lets students choose the pace of their crash course—whether it’s in an intensive or semi-intensive manner. Our courses are flexible and suit learners with any level of experience. 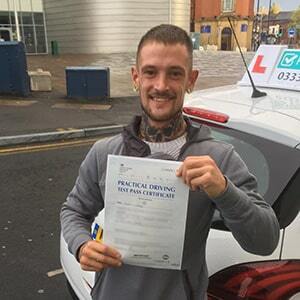 To take one step closer to getting that new licence, check out our course prices page and give us a call on 0333 123 4949. If you already know which course is perfect for you, go ahead and book online!